Is your internet slow and in hands of the so called department of justice virus? In that case not only our internet, but your complete computer is taken hostage of a well-organized group of cyber criminals. No, it is not the Department of Justice. Yes, indeed, these criminals did an excellent job. It looks like the US department of Justice did intervene. Nevertheless, the Department of Justice virus is ransomware and displays a fake notification. It threatens you to pay a fine because it claims that you did something illegal on the internet, like downloading illegal files or looking at prohibited materials. Do not pay! Or do you think the US Department of Justice wants to get paid by MoneyPak? Threats about criminal prosecution are bogus so keep your 300 USD and do not go out to get a MoneyPak voucher, just get the best ransomware remover avaible and kick this terrible (masterwork) program of your computer. How to remove the Department of Justice Virus? The research lab of Enigma Software, the maker of the SpyHunter 4, has researched this ransomware and published a report on the DOJ, the Federal Department of Justice and Police Virus. Most of these are variations of the same kind of ransomware are related to the Ukash virus and have the infamous Reveton Trojan & Winlocker components. Yes, it is a complicated piece of modular malware. 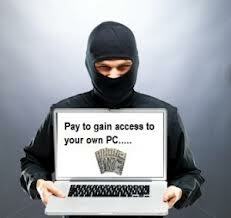 It shows how much money and time cyber criminals have in order to develop such an effective malicious program. Many people get fooled and paid the fine. These criminals made tons of money and make different variations of the same ransomware. The SpyHunter is a perfect tool that has proven over and over again to be able to deal with these kind of incidents. For more information: SpyHunter Review. Police themed picture is shown where a ransom fee is demanded in order to release the PC. How to improve your internet safety level?